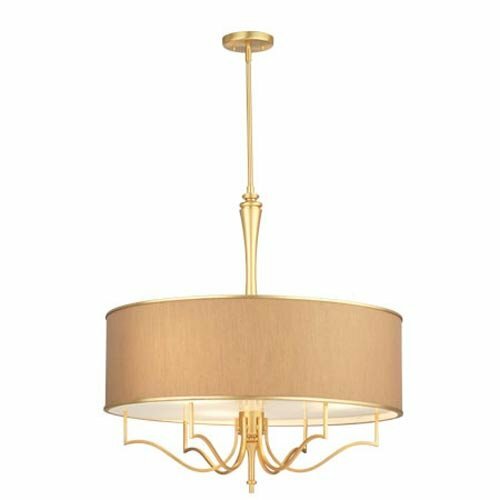 As I was scouting for a client's dining room chandelier I came across these two lovelies and immediately had a gold crush! Whether you choose a sophisticated silk shade with clean lines or a linen shade with pretty oyster crystals pair it with gold and you will surely add glamour to the dining room. The best part they are both affordable, can you guess which one is under $300? Here's a little tip, take off the chain link and add a solid rod that matches the finish. It is a simple way to elevate the style and continue the flow from base to ceiling (it also increase the chic factor...chain link is so not chic)! What is you answer? Which one is the less expensive chandelier? They both are beautiful! I'm going to say the first one is the less expensive one. 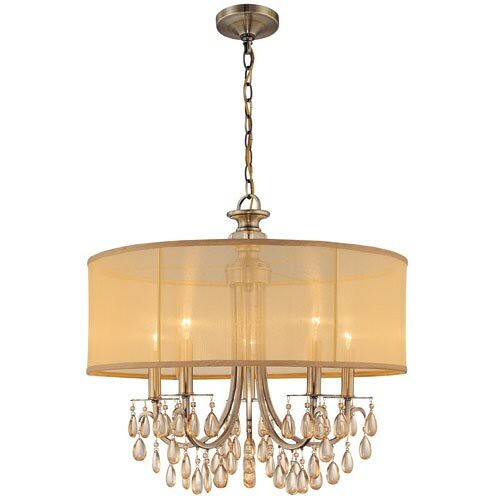 As much as I'm in love with the first chandelier (there is a sensuality to the center spindle that I'm in love with; not to mention the proportions are perfect), I'm going to say the 2nd chandelier is the piece under $300. Although the drop glass would give the appearance of being a more expensive unit, you'll notice that the upper portions of the chandelier consist of standard out of the box parts (the chain, the escutcheon plate) as well as the arm connection to the center spindle whereas in the first chandelier, the center spindle is quite large and extends lower into the unit and the wires appear hidden quite well within the piece. Something to remember always is that simpler does not mean less expensive. To create something with appearance of simplicity amounts to more time, more attention to the details. I was going to guess the second one- but both are really pretty!